Today we had some fun with money! SJ(5) is currently working her way through Horizons 1 work book. She learned about money while working through the Horizons K book but for this level they are relating money to place value. 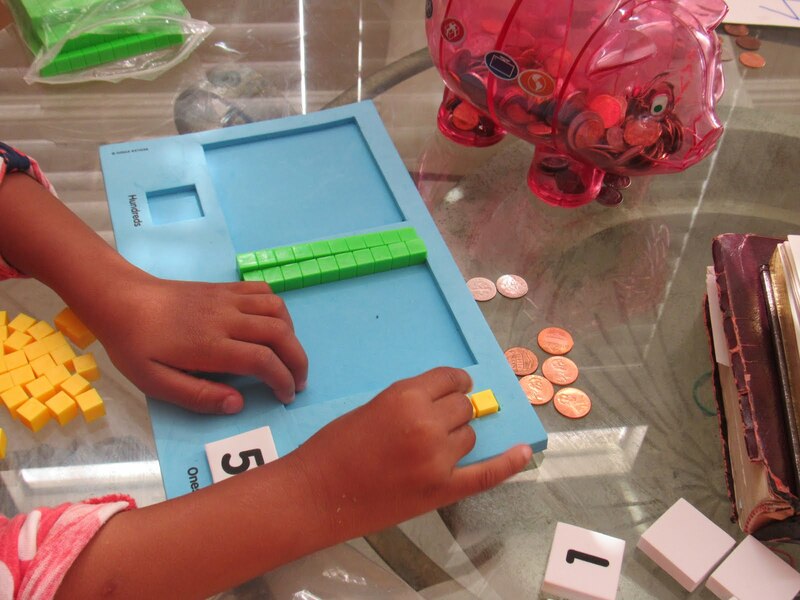 This was the perfect excuse to pull out the base ten manipulatives. For this activity we used pennies, nickles and dimes. Though she uses quarters, half dollars and dollars in her math book. I think we will wait a little while to introduce them using base ten. 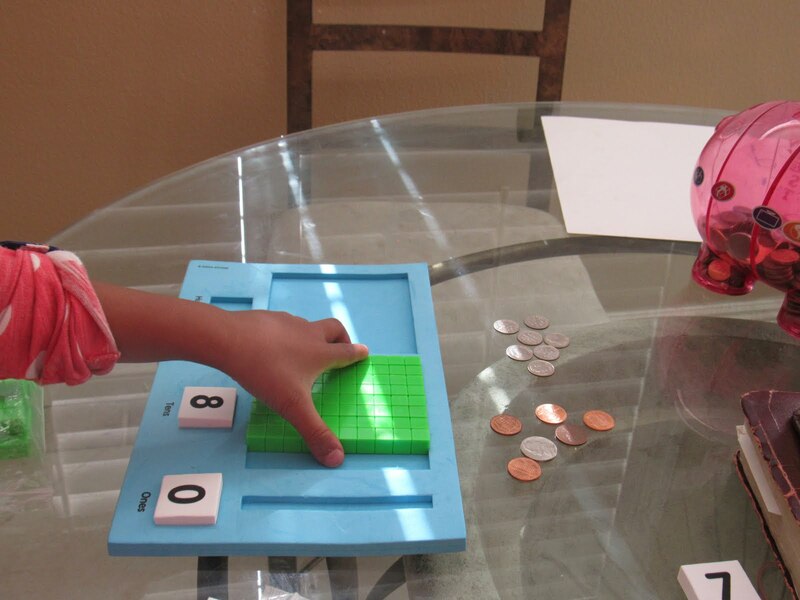 I placed the money in different increments in front of SJ and she used the manipulative to assign the money value. We didn’t leave out KJ(3) though. 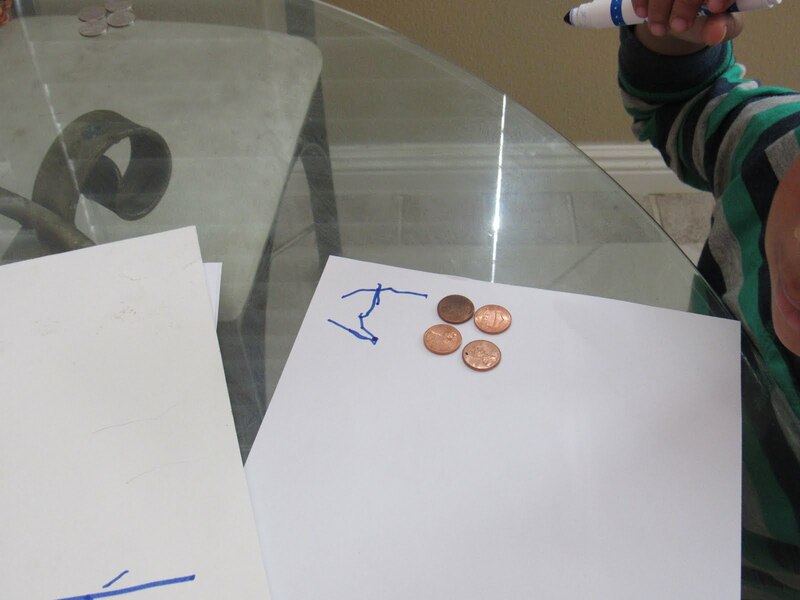 I just used pennies with him and it was a great chance for him to practice counting and writing. He is having a hard time, confidence wise, writing without assistance but my husband and I have decided not to give in to his fussing about needing help at all. We have seen him control his pencil and though we don’t expect his work to be perfect we do expect him to try. When he is successful, which so far has been every time, he is so proud of himself. 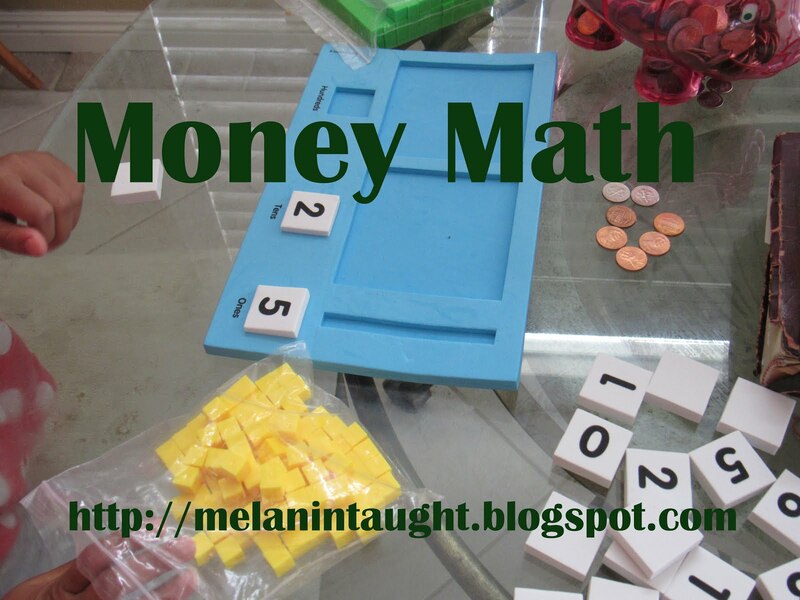 This was a great activity, the kids really enjoyed it and I think the younger children are comfortable with money they better they will be managing it in the future.